In The Insight’s coverage of the Swn Festival last year, we were particularly full of praise for a band called The Echo and the Always. For me, they were one of the highlights of last year’s event. A key feature of the Swansea/Cardiff based five-piece’s sound is their warm, dreamy pop melodies, melded with a yearning indie rock grandeur. Add in the elegant, soothing vocals of singer Laura Hancock and a dash of Arcade Fire-esque horns, and you have a band with a distinctive, characteristic sound that they make their own. I had the privilege of interviewing the band before their return gig to Clwb Ifor Bach in Cardiff. How long have you all been together as a band? Angela: The band was formed two years, but we’ve been playing with our current line-up for a year now. Until then, I played in a lot of other bands back in Canada, until I moved from Canada to the UK four years ago. Edd: We’ve already done a lot in the short space of time we’ve been together. We’re definitely stepping in the right direction as a band. Who are the biggest musical influences on the band? Angela: It’s always tough one because there’s five of us and we all have different musical tastes. Each of the members brings their own influences and their own individual style. It’s hard to condone a single influence. Edd: I think what actually really influences us is not so much any particular bands, but the general music scene that we’re surrounded by and all those people that are still really working hard to get somewhere with their music. We’re inspired by them and they are inspired by us, and we’re all help each other get to where we want to be musically and professionally. That’s what really drives us to work hard and keep going as a band, to perfect our sound and to write great music. Angela: We’re lucky to be surrounded by so many great artists in Cardiff and in Wales, and that we as musicians can feed off that. The music scene in Wales tends to be overlooked. Do you think there is a strong future for the Welsh music scene? Angela: Right now, there are more opportunities than ever for musicians based in Wales to go on to bigger things. For years, you would normally look to places like London which still present huge opportunities for artists to make it professionally, but now there are more and more festivals in Wales that are growing bigger and bigger, including Swn Festival, that have helped put Wales on the map. Plus, there are more music businesses based here and more music initiatives being launched, so I think there’s definitely more potential for the Welsh music scene to grow. Your performance at the Swn Festival last year was your first time playing the event. What did you all make of the experience? Angela: It was absolutely brilliant to be a part of it. Just to be in the line-up with so many other fantastic bands and artists. During the festival, Womanby Street felt like a gigantic house party. You would see all your friends and meet lots of other people as well, the atmosphere was rowdy but friendly at the same time, and there was so much great music wherever you went. The only downside is if you’re playing, setting up on stage or soundchecking, that’s a big chuck of time where you can’t see other bands. You’re currently not signed to a record label. Do you have plans to remain independent, or possibly sign to a record label in the future? Edd: The downside of working with a label is obviously the lack of creative control. As a band, we like trying out new things musically, and we want to be able to keep doing that and keep our own image, because that’s who we are. We put a lot of effort into keeping to who we are, and we don’t want anyone to change that. That’s why we want to stay independent for as long as we can. Independent labels are another story. It depends on what their values are. There’s a few independent labels in Cardiff, such as See Monkey Do Monkey, that can help bands get somewhere, give them an added ‘oomph’ in the local music scene and give bands a more professional image. The work these type of record labels do is phenomenal, and we favour independent labels over all the major ones. Do you have any new material coming up in the next year? Angela: We’ve written a whole bunch of new material lately and will continue to write more. We have a new EP out soon, a music video, and we’ll also be recording during the summer. The plan now is to release a series of EPs and singles over the next year. Will this lead to a debut album eventually? Angela: We’ve focused on doing smaller releases because we have a big local following in Cardiff and Swansea but not beyond that, so it’s better to do small releases, issue music more frequently and hopefully get ourselves noticed and build our fanbase. Certainly in the future, an album would be great. Are you planning to tour more venues outside of Wales? Angela: It’s all a matter of timing because we all have day jobs outside of the band. Hopefully during the summer, if we can plan well then we can tour more. It would be a dream to take the band to America and to my home in Canada, but the next step for us is to definitely tour more cities in the UK. 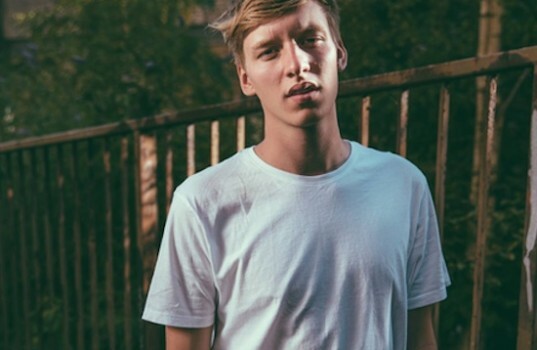 Rising singer-songwriter and BBC Sound of 2014 nominee George Ezra is set to release his hotly anticipated debut album ‘Wanted on Voyage’ next month (30 June), which will follow lead single Budapest (15 June). Earlier this year, The Insight reporters Dean Hodge and Alex Spiceley caught an exclusive interview with George backstage just before he kicked off his first major tour in Clwb Ifor Bach in Cardiff. Check out the interview here as the musician gave his thoughts on his upcoming debut album, the Bristol music scene, breaking America and other topics. I studied for a year at university there. I didn’t carry on, but I stayed in Bristol. A lot of my friends are in their third year now which is what I’d be doing now. I just did one year and at that point, I was in a position where I can still live there. When I’m in London, I find myself going home back to Hartord because it’s easier. So you’re still very down to earth then! I recently got to interview one of Cardiff’s hottest up-and-coming artists and one of the twelve chosen acts to be selected for the new Horizons music scheme launched this year – Cardiff’s own girl band with added attitude, Baby Queens. Signed to Cardiff-based label Strangetown Records and managed/produced by Super Furry Animals member Cian Ciarán, the female five-piece – composed of Cara Elise, Estelle Ios, Monique B, Ruth Vibes and Vanity – combine influences from blues, soul, R’n’B and pop, and blend and refine them into one intoxicating, harmonious musical cocktail that warms the soul and melts the mind. The result is a distinctive, unique sound that is sassy, sultry and soulful in equal measure. Both individually and collectively, they are an explosive force on stage as well as on record. Check out my exclusive interview with the ladies in the midst of their ascent to the upper echelons of Welsh pop royalty. How did you first form as a band? Cara Elise: Me and Estelle are sisters, Monique and Ruth are cousins, and Vanity’s a very good friend of all of ours. We’re basically one big family, as well as best friends, and we’re very blessed that we’re in a band with each other. Up to now though, we’ve all played music independently. The one night when we were all together in the same room, we decided to jam together and we just clicked as a musical group. Who are the biggest musical influences on the group? Monique B: We like to stay as a collective of music genres rather than box ourselves into one genre. We each have our own individual influences – rock, soul, Motown, pretty much everything! Possibly one of the biggest sole influences on the group as a whole is Frank Ocean, not just in his sound and musical talent but what he represents in music. His songs are so deep and powerful, and there’s an undercurrent of raw emotion and anger that is delivered in such a beautiful, peaceful way. That’s what we want to represent ourselves as. We just do it for the love of music. Cara: We look up to all the ‘legends’ of music that really stood up for something, and brought back the true meaning of rock ‘n’ roll, and of music. How did it feel to be selected for the Horizon scheme? Vanity: It was simply amazing! We started off as just friends jamming together. We weren’t so much a band as just a close family of people making music for the fun of it. We had one song that did really well and took off, which was a shock to us. After that, it was one thing quickly after another. Of course, we’re all really excited and happy but at the same time overwhelmed because we’ve never had this before. It’s an exciting journey for all of us, and we all get to be part of it together. Any new material currently in the pipeline? Monique B: We’re looking to release an album next year. At the moment, what we’re collectively focusing on is perfecting our performance and delivery on-stage, so when people come to see us they are not disappointed in any way, shape or form. Cara Elise: There will be a few more releases in the meantime as well, including singles and EPs later this year, before the album gets released. 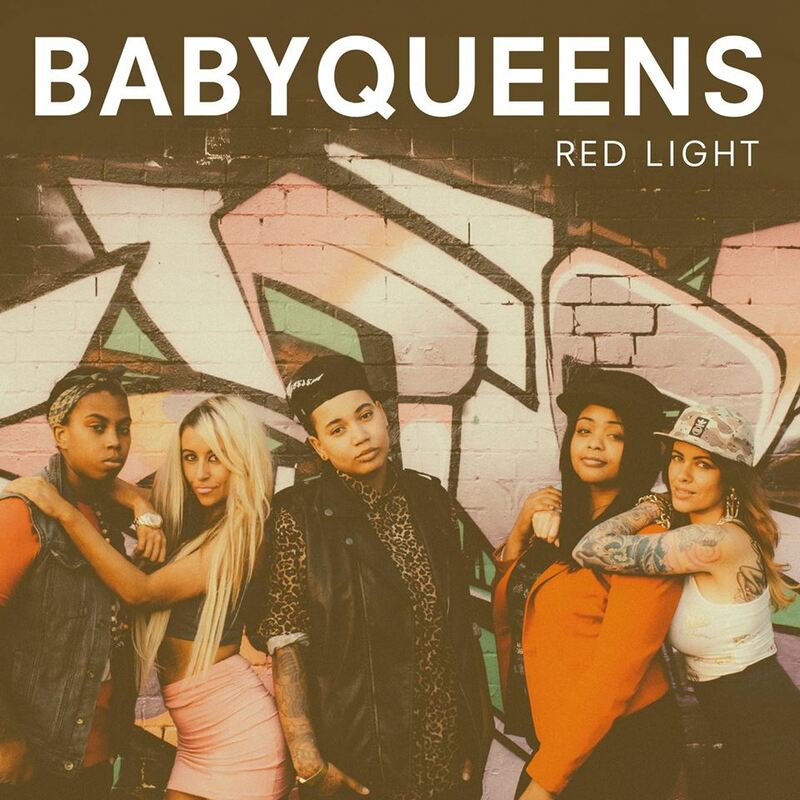 Monique B: Then, come 2015, look out for the new album by Baby Queens!